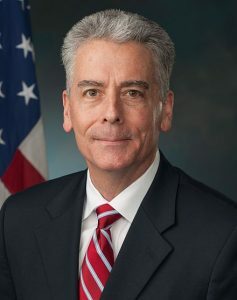 Frank Larkin was appointed as the 40th Sergeant at Arms of the United States Senate in 2015. With over 4,000 people reporting to him, and a budget of over $200 million, Larkin is responsible for security, telecommunications, and technology services for employees in and around the U.S. Senate. Larkin previously served in several posts at the United States Department of Defense. From 1973 to 1981 Larkin served in the United States Navy as a Navy SEAL. On September 11, 2001, Larkin was a supervisor in the Secret Service’s New York Field Office, located in the World Trade Center. Larkin was later awarded a Medal of Valor for his life-saving actions at Ground Zero. Christine Hill serves as the Staff Director on the House Veterans’ Affairs Committee Subcommittee on Health. Hill began her career of public service in 1983, serving as a United States Air Force Officer and pilot for 20 years. 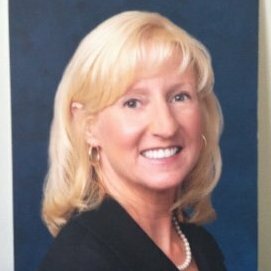 A 1983 graduate of the United States Air Force Academy, Mrs. Hill held numerous positions as a KC-135 instructor navigator, training flight and senior standardization/ evaluation navigator. During this time, she flew combat support during the US intervention in Panama, as well as deployed to Riyadh, Saudi Arabia flying in support of Desert Storm as the Chief of Tanker Air Operations. Following an assignment to Headquarters Air Combat Command, Mrs. Hill was hand-picked to become the first woman assigned to fly the B-1B Bomber. She completed qualification as both an Offensive and Defensive Systems Officer and was the first initial qualification student trained as a Weapons System Officer and Instructor. During this time, she also held various Squadron- and Wing-level leadership positions. Only five years after her retirement from the military, Hill was appointed by the U.S. Department of Veterans Affairs to serve as Deputy Assistant Secretary of Congressional and Legislative Affairs. In 2003, Barry C. Black was elected the 62nd U.S. Senate chaplain, becoming the first African American to hold this office. 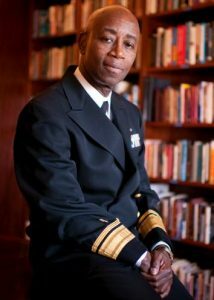 Prior to serving in the Senate, Black served for over 27 years as chaplain in the United States Navy, rising to the rank of rear admiral and ending his career as the chief of chaplains of the United States Navy and chief of the United States Navy Chaplain Corps. As a rear admiral, his personal decorations included the Navy Distinguished Service Medal, the Legion of Merit Medal, twice awarded the Defense Meritorious Service Medal, twice awarded the Meritorious Service Medal, and twice received the Navy Commendation Medal, and the Marine Corps Commendation Medal, and numerous unit awards, campaign, and service medals. David Shearman is a professional staff member for Senate Committee on Veterans’ Affairs Chairman Johnny Isakson. Since March 2015, Shearman has worked on veterans’ issues related to education, employment, transition, and memorial benefits. In the Senate, Shearman helped pass into law the Veterans Health Care and Benefits Improvement Act of 2016, the Post-9/11 GI Bill, and the Charles Duncan Buried With Honor Act of 2016. 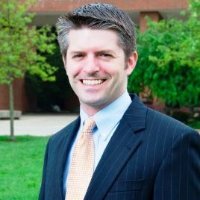 Prior to working for the committee, Shearman was the Veterans Office Coordinator for Georgetown University where he was the liaison between the student veteran and campus resources. Shearman has been an active participant in national veterans’ groups including HillVets, Student Veterans of America, Team RWB, and the Military Order of the Purple Heart. 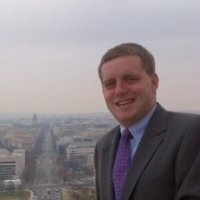 Jon Clark began his congressional career in 2006 as a Staff Assistant with the House Veterans’ Affairs Committee. Since then, he has had a variety of roles in the committee serving as a Republican Legislative Assistant, Professional Staff Member, and Press Secretary. Clark now serves as the Republican Staff Director for the House Veterans’ Affairs Committee Economic Opportunity Subcommittee. In this role, Clark advises Chairman Phil Roe on policy relating to veterans’ employment, the GI Bill, home loans, and veteran-owned small businesses. In 2015, Clark was awarded the Militia Award from the Enlisted Association of the National Guard of the United States. Jon has played a critical role in all aspects of employment and education policy, which are changes affecting veterans over the past decade to include the Post 9/11 GI Bill and most recently the Forever GI Bill. Army veteran and attorney Jon Coen developed an expertise in VA healthcare while working as a Congressional liaison at VA. During his time in the Office of Congressional Affairs, Coen helped Members of Congress understand and address the myriad of issues facing VA healthcare and its more than 1,200 VA medical facilities. As an employee with the Office of the Inspector General, Coen worked with Members of Congress with regards to IG investigations. Coen accepted a position with the Senate Veterans Committee as Staff Counsel. In this role, Coen is a critical player on numerous policy issues affecting veterans across the nation.